Detox products: THC Marijuana Drug Test Urine Cassette. Pass drug tests, passing all drug test. 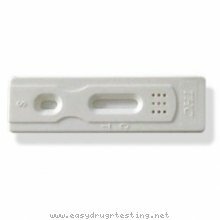 The one step THC(Tetrahydrocannabinol) marijuana drug test urine kit is a simple one step immunochromatographic drug testing assay for the rapid, qualitative detection of THC(Marijuana) in urine. The cutoff of the test is 50 ng/ml of THC(Marijuana). It is the same as the SAMHSA recommended for marijuana drug test screening assay cutoff.